The much awaited and widely predicted correction (that no one really ended up predicting) has turned 2 weeks old now, and driven the S&P 500 down almost -12% top to bottom. So it’s timely to take a snapshot of where market sentiment is sitting across a number of key indicators including the weekly survey on Twitter. 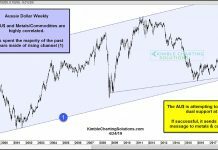 Are investors about to get “back to business”. 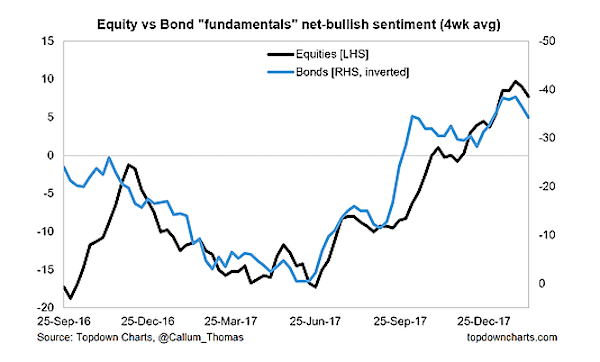 “Fundamentals” sentiment remains resilient while “technicals” sentiment is well below average. 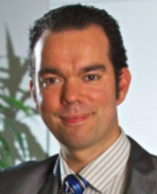 The market outlook from here depends powerfully on what happens to fundamentals sentiment. Elsewhere, the divergences in the survey charts point to a fall in the VIX, although the VVIX looks to be arguing otherwise. 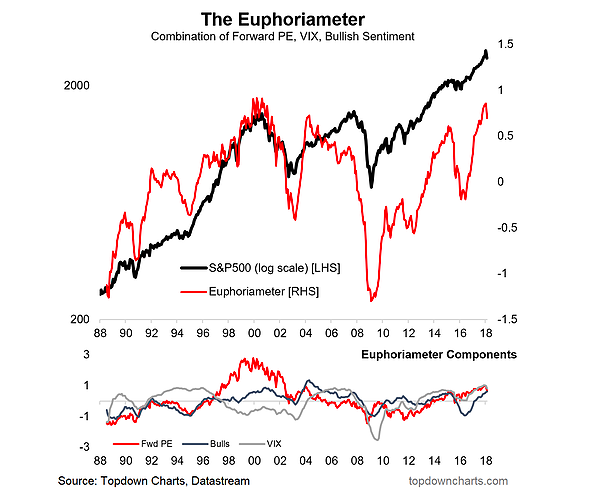 The blip down in the Euphoria-meter is similar to some of the previous stock market corrections of the past 2 decades, most notable the 1998 correction. If this is a late-cycle 1998-style stock correction it could be “back to business” in short order. 1. Technicals vs Fundamentals:A very interesting set of charts, these two show the mixed feelings of investors with the fundamentals net-bulls remaining in a clear uptrend, while the technicals bull-bear spread remains very low vs history, despite bouncing on the week. This is a telling set of charts. 2. 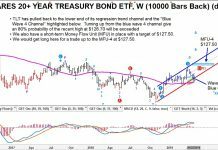 Fundamental Sentiment:Honing on on the “fundamentals” sentiment, the view is consistent for bonds and equities, and there is an ever-so-slight, but noticeable turn here. 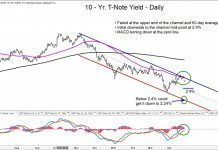 It’s really down to this chart as to how the bond and stock market selloffs playout from here. If fundamentals sentiment holds up or improves it will be onwards and upwards for stocks and down for bonds, and vice versa. 3. 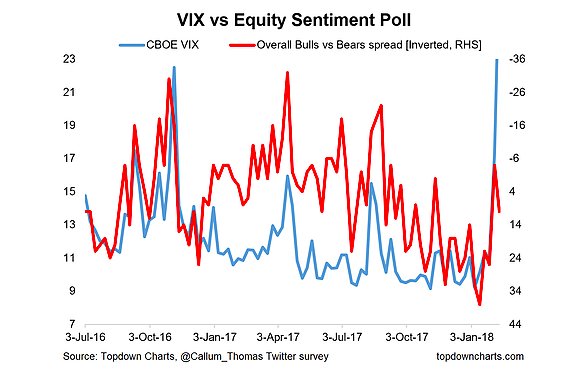 VIX vs Equity Sentiment:Similar to the first chart, we have another one showing some ‘disagreement’, with the overall bull vs bear spread rebounding, in contrast to the VIX heading higher. Odds are the survey respondents are on to something with this chart. 4. 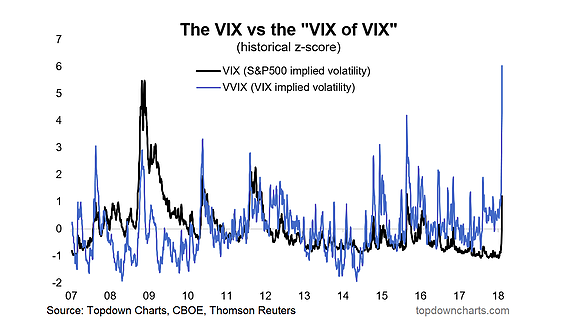 VVIX vs VIX:That said, while the VIX has gone some ways in closing the gap against the VVIX or VIX of VIX (implied volatility of the VIX), you could argue that a gap remains, but it’s probably a more compelling argument that the very extreme reading in the VVIX represents a capitulation/reversal point. 5. The Euphoriameter:Final chart is the Euphoriameter which has started to come down with the flash readings. The move is relatively small compared to the 2015 correction, but is not too far out of line vs the 2010 and 2011 corrections. While sentiment is certainly starting to get shaken, you could argue that there is more water to go under the bridge here. But then again, the 1998 experience showed when you get a correction like this late in the cycle, it can often be the case that it’s just a quick shakeout before getting back to business.